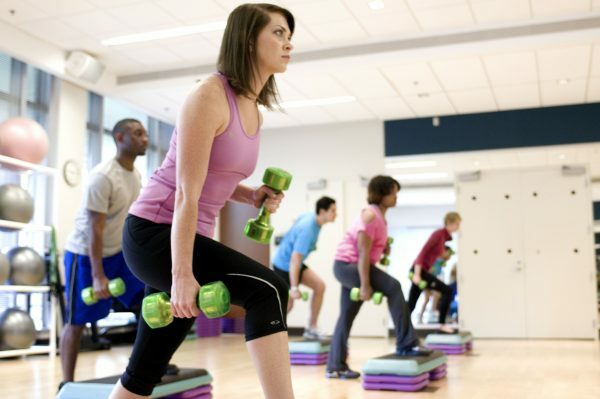 People who exercise on a regular basis are more likely to eat healthier, too. For a new study, researchers looked at 2,680 young adults who were not exercising regularly or dieting. After exercising for several weeks, the formerly sedentary participants were more likely to choose foods like lean meats, fruits, and vegetables. At the same time, their preferences for fried foods, sodas, and other unhealthy options decreased. The researchers instructed participants to not change their diets in any significant way, but it happened anyway. The current study didn’t examine the mechanism at work behind the changes, but previous studies show that moderate exercise can change dopamine levels that can reduce a preference for high-fat foods. Previous studies also show a relationship between the intensity of exercise and the amount of appetite-regulating hormones in the body. “The process of becoming physically active can influence dietary behavior,” Molly Bray said, the corresponding author of the paper and chair of the nutritional sciences department at the University of Texas at Austin and a pediatrics faculty member at Dell Medical School. The physiological mechanism that drives exercise-induced changes in food-preference is probably consistent across a wide span of ages, Bray said. The study included people between the ages of 18 and 35, a period critical for forming healthy habits. Considerable weight gain occurs during the college years and someone who is mildly to moderately overweight at age 20-22 has and increased risk of obesity later in life. Participants who said they exercised less than 30 minutes a week at the beginning of the study started 30-minute aerobic workouts three times a week for 15 weeks, with instructions not to change their diet in any significant way. The exercise sessions included 30 minutes of aerobic exercise at 65-85 percent of the person’s age- and gender-specific maximum heart rate, along with a 5-minute warmup and a 5-minute cool down. Participants wore heart-rate monitors and could choose from a variety of exercise types, such as on stationary bikes, treadmills, or elliptical machines. Additional researchers from the University of Texas at Austin, Michigan State University, and the University of Alabama at Birmingham contributed to the study, which appears in the International Journal of Obesity. The National Institute of Diabetes and Digestive and Kidney Disease funded the work. This article was originally published by Texas University–Austin. Republished via Futurity.org under Creative Commons License 4.0.